The rhinestones (diamonds) on the links add just enough bling to the iwatch band. Stylish and attractive. 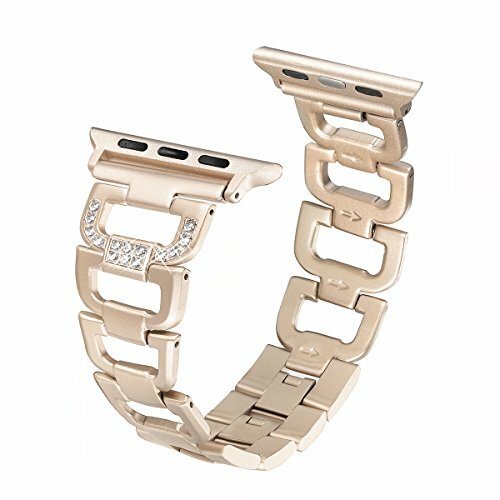 Transfer your iphone watch into a piece of jewelry. Perfect for dressy or work occasions. The Apple i Watch is NOT included.